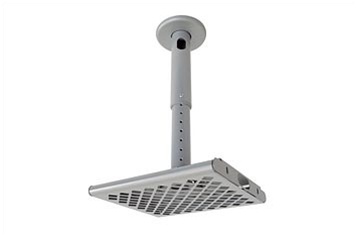 Max mounting footprint: 6.75" x 11"
The PMD1 Universal Small Projector Mount for up to 30 lb Projectors from OmniMount is a close to the ceiling mounting solution with an adjustable pipe. 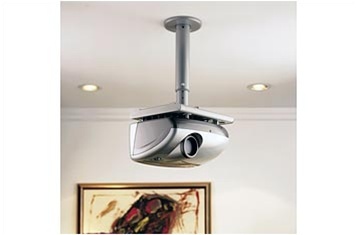 This projector mount is flexible, easy to install and adjust, and features built-in pitch and tilt adjustment controls. The OmniMount PMD1 projector mount features an intelligent grid-mounting pattern that adjusts to fit almost any size projector. The PMD1, like all of Omnimount's prjector mounts, features an electrostatic powder coat finish, making the PMD1 both durable and scratch-resistant.